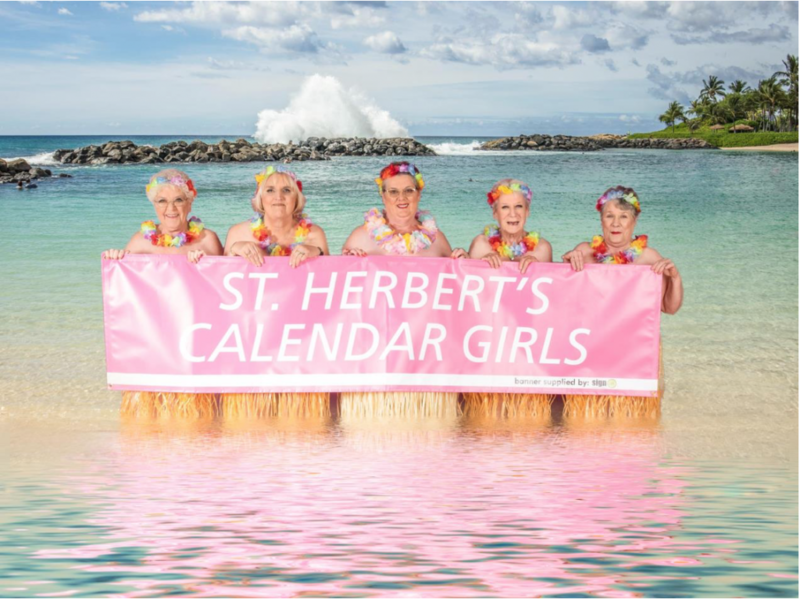 A GROUP of ladies who are part of the retirement community at St Herbert’s Court in Chadderton have put together their very own ‘Calendar Girls’ style calendar to raise much needed funds for Cancer Research UK. The ladies involved all have their own connection to breast cancer – one of the brave ladies is currently undergoing chemotherapy, another has had a mastectomy and others involved have been at the side of friends and family members who have suffered with the disease. The calendar launched at the Court on the afternoon of 19 October – Wear it Pink Day. The housing and care Court, managed by Housing & Care 21 promotes independent living for people over the age of 55.